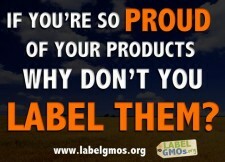 The AMA Says You’re Too Dumb For GMO Labels | Paula Patrice | Fashion Model. Technologist. Blogger. You know how sometimes you make photocopies of a document and mark the original just so you remember which it is? Well if you were the American Medical Association and that document was our food, you’d say “Who Cares?” Here’s how self-contradicting the AMA is: In its statement, the AMA’s Dr. Patrice Harris said that their position recognizes that currently there is no evidence of materials differences or safety concerns in available bioengineered foods. See how she slipped in “currently?” Yeah, me too, and it makes me think of things like “currently cigarettes are the new trend of the cool 1950s heartthrob” Or how about “currently we have this new chemical called DDT that will rid the world of malaria with no harmful side effects,” and we all know how those ended up. In the same statement the AMA “supports mandatory pre-market systematic safety assessments of bioengineered foods.” Really? So you’re confident it’s safe not to label GE foods but you want to keep testing them just in case. Okaaay. Are we redefining confidence here? So tell me Dr. Harris, if the food isn’t labeled as Genetically Engineered, how exactly is Joe Public supposed to report negative health consequences to the FDA? “Hi, FDA? Yes, I ate a can of vegetable soup like I usually do but this time I had an allergic reaction out of nowhere, and I don’t know what caused it.” Oh wait, we already have plenty of those reports coming in. Are they caused by GE products? We don’t know because it’s. not. on. the. label !!! And the Grocery Manufacturers Association backs up the AMA, because they think consumers are dumb confused by words on a label). “Because foods and beverages that contain GE ingredients are no different than those that do not, mandatory labeling of foods containing GE ingredients is unnecessary and may actually confuse consumers,” the GMA said.